Gut Bacteria in Salmon - Visual Essay Animation | Mair Perkins Ltd. 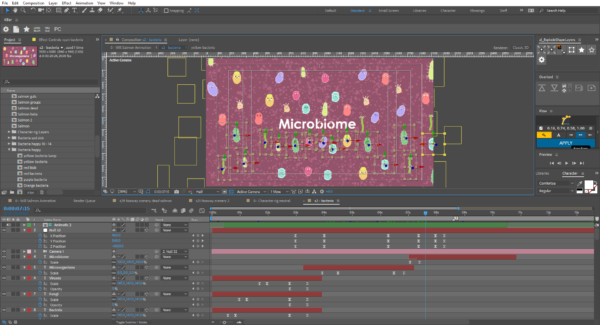 I worked with Will Perry, an environmental science researcher from Bangor University, and the research group Envision to create an animation about Will's research into the gut bacteria of farmed Salmon and the impact on salmon health in both farmed and wild populations. The video aims to share Will’s scientific research in an engaging and accessible format to the general public. The script was written jointly with Will, then I pencilled the story in storyboard and animatic form. After the pencil work was signed off, I illustrated all the animation artwork in Adobe Illustrator. When that was approved, I began animating in After Effects. I used a mix of Rubber Hose, Duik and Joy Sticks n Sliders for rigging the human character. I worked with Will Perry, an environmental science researcher from Bangor University, and the research group Envision to create an animation about Will's research into the gut bacteria of farmed Salmon and the impact on salmon health in both farmed and wild populations. The video aims to share Will’s scientific research in an engaging and accessible format to the general public. 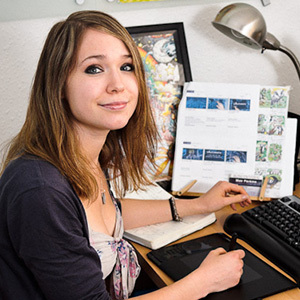 The script was written jointly with Will, then I pencilled the story in storyboard and animatic form. After the pencil work was signed off, I illustrated all the animation artwork in Adobe Illustrator. When that was approved, I began animating in After Effects. 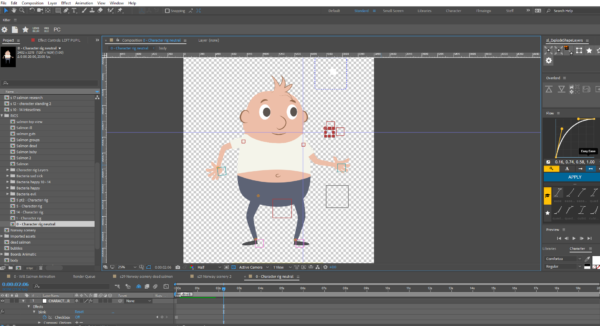 I used a mix of Rubber Hose, Duik and Joy Sticks n Sliders for rigging the human character.